The World Bank Executive Board has approved a $40 million International Development Association (IDA) grant as budgetary support for Sierra Leone to undertake key policy reforms that could engender sustainable and inclusive growth and build economic resilience. The Second Productivity and Transparency Support Grant (PTSG-II) support ongoing reforms to enhance macroeconomic stability, increase productivity in agriculture and fisheries while promoting transparency and accountability in selected government decision making processes. 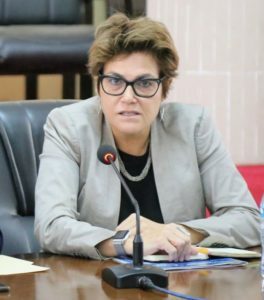 World Bank Country Manager for Sierra Leone, Dr. Gayle Martin said Sierra Leone’s opportunities to eradicate extreme poverty and boost shared prosperity rest on sustained macroeconomic stability, robust growth and a solid enabling environment for the exploitation of its abundant natural resources. “This financing will help address fiscal challenges and improve overall governance to build resilience and enhance the delivery of services to the people,” she said. The country’s economy grew by 7.8 percent on average during 2003-2014, but contracted by 21 percent in 2015 following the Ebola outbreak and a decline in the price of iron ore, the main export product. Although the country was declared Ebola free in March 2016, the economic recovery has been volatile. Growth rebounded to 6.4 percent in 2016 only to decelerate to 3.8 percent in 2017 and remaining roughly stagnant at 3.7 percent in 2018. Adding to the challenge of recovery, a large landslide hit Freetown in August 2017, further disrupting economic activity and slowing the pace of the recovery in 2017. The PTSG-II, the second in a programmatic series of three operations to support the implementation of the Government’s priorities articulated in the National Development Plan, covers five policy areas namely; agriculture (including fisheries and land), energy and extractives, education, public financial management (Treasure Single Account and e-procurement), and asset disclosure.